We have all seen them in the gym, in the yoga studio or in cycling clubs. The person who looks fit: has toned arms, shredded legs and probably has a 6-pack under their gym clothes. That same person, although they look like a specimen of health on the outside, carries a package of tissues, a bottle of nasal spray, emergency Vitamin C packets, chewable antacids and over the counter NSAIDs in their gym bag because they are constantly sick. Sadly, many gyms and fitness studios are filled with sick, fit people. Think of the examples of people who, on the outside look healthy, but inside are sick and suffering. Patrick Swayze, James Fixx, Bob Harper and countless others – people living what most of us would consider healthy lifestyles, have suffered heart attacks, been plagued with cancer and died too young, regardless of what their bodies looked like or how they felt. What makes these stars different than someone like “The Godfather of Fitness”, Jack LaLanne, who lived a happy, healthy life until the age of 97 years old? LaLanne understood how important his nervous system was as to a long, healthy lifestyle. For your body to heal properly and fight infection, you must have an optimally functioning nervous system. The central nervous system, brain and spinal cord, control every function of your body. When you exercise, your nervous system coordinates the growth and efficiency of your muscles and bones to build them stronger. When you eat a healthy diet, your nervous system coordinates the digestion and absorption of nutrients into your blood stream, building every cell in your body healthy and strong. This is essential so that these nutrients are available for better workouts and sustain your immune system to guard you from germs, bacteria, viruses and other stressors. Optimizing your body’s nervous system with Chiropractic Lifestyle Care at the core of your healthy lifestyle so you can be fit and healthy rather than fit and sick, especially if you want to enjoy being fit over a lifetime. 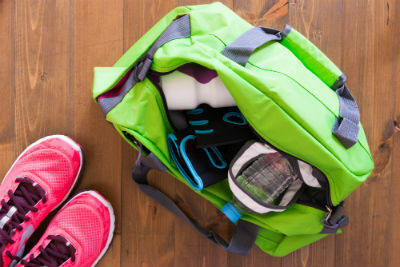 Wouldn’t it be great to be able to leave the medicine chest out of your gym bag? If you are considering a new fitness routine or want to get back in shape, getting your spine and nervous system checked before you begin can start you off on the right track, prevent injuries and optimize your fitness results. A healthy nervous system benefits every level of fitness. It helps to keep you feeling your best on the inside and enables you to continue looking great on the outside. Whether you like it or not, want to or not, you will probably live longer than you ever thought. Why not get there in style with health and vitality, fit and healthy, so you and your loved ones can enjoy the ideal 100 Year Lifestyle you deserve? Contributed by Daniel Kimbley, B.S.